Some cars will be coming with Google built in. The reality is that before self-driving cars hit the market at any kind of scale or mass acceptance, they will gain more connectivity, right from the start. 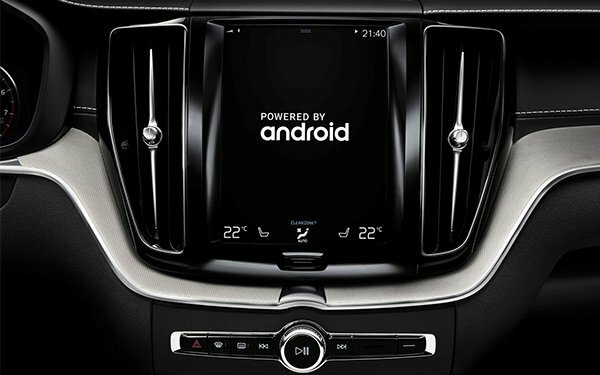 That’s now what’s happening with Volvo, which is working with Google to embed Google’s voice agent Google Assistant, Google Play Store, Google Maps and other Google services into its coming Sensus infotainment system, based on Google’s Android operating system. The next generation of Volvo’s Sensus will run on Android, so new apps and software updates can happen automatically and in real time with no need for an Android smartphone. This means a driver could talk to the Google Assistant to control in-car functions, such as air conditioning and music, as well as to use apps and send messages. Google Maps already can be used in cars with Bluetooth connectivity and a smartphone, with voice directions from Google Maps coming through a car’s speaker system. The Volvo-Google deal just makes it more a component of the car, lessening the importance of a phone for in-car directions. However, Volvo, Google and others are not taking a single road to the future of connected cars. Late last year, Uber signed a deal worth an estimated $1.4 billion to buy up to 24,000 of the Volvo top-of-the-line XC90 premium SUV and the new XC60 midsize SUV, both of which will come with core autonomous driving technologies. Uber will then add its own self-driving technology. Meanwhile, Alphabet’s Waymo recently announced it was adding up to 20,000 Jaguars to its fleet of self-driving cars. Waymo, formerly the Google self-driving car project, earlier this year ordered thousands of hybrid minivans from Fiat Chrysler Automobile to be used in its driverless ride-hailing service in Phoenix. The connected car is more likely to enter the marketplace with more smart features, such as central voice control and numerous additional infotainment features. Those developing self-driving cars have much than that to worry about. The connected car and the self-driving or autonomous vehicle are two different things. All self-driving cars will be connected, but not all connected cars will be self-driving. The bigger deal for consumers for the foreseeable future is the connected car. 1 comment about "Volvo Cars To Come With Google Assistant, Maps, Apps Built In". R MARK REASBECK from www.USAonly.US , May 9, 2018 at 9:38 p.m. This is a joke, spending your time to find an app to tell the a/c in your car to turn up or down? We're so frickin lazy we can't reach 18" to the dash to push a button to control the A/C??? This IS a pathetic future . What makes my ride enjoyable, is you get all your spy-bots out of my car and let me push the gas pedal without summoning an App! !